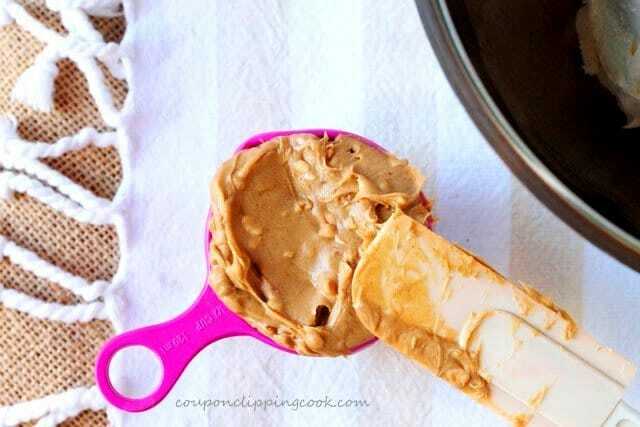 The pie filling is made with just 2 ingredients and the pies take only 15 minutes to make. 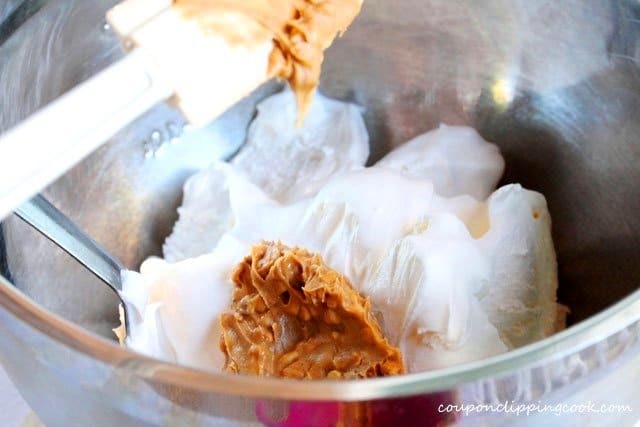 ….peanut butter and Cool Whip topping. 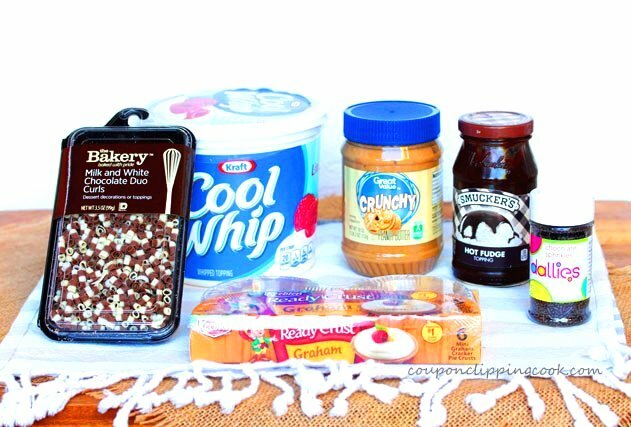 And no baking required. How easy is that! And it tastes so good it’s hard to believe how easy the filling is to make. 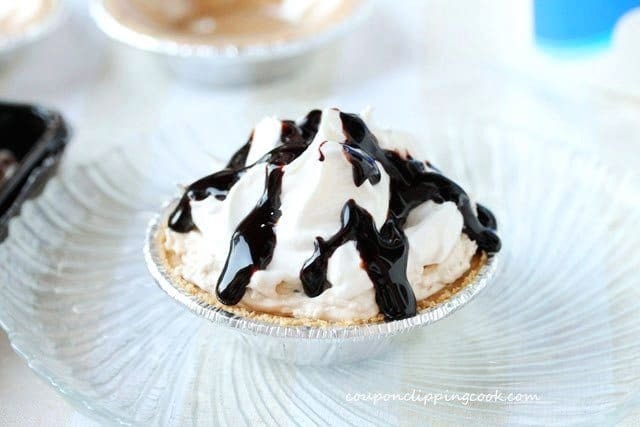 To finish the pies, the filling is added to mini premade graham cracker pie crusts, and topped with drizzles of chocolate sauce. Last but not least, chocolate sprinkles or shavings are added to the top. Then just like that you’re done and you have adorable and delicious cream pies. They can be made ahead of time too. I think the pies actually get better with time in the fridge because the crust takes on just a little moisture from the filling. 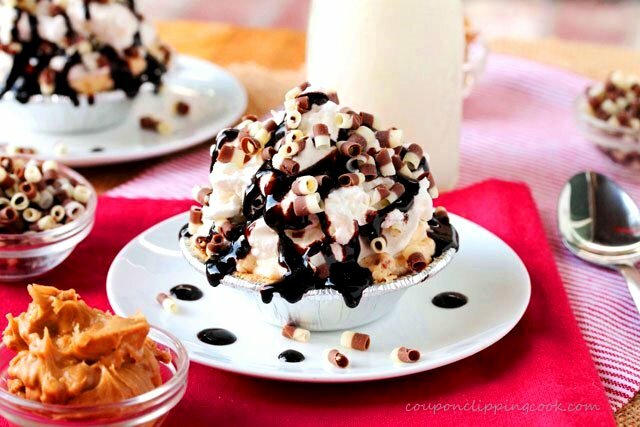 Peanut butter (chunky or regular), Cool Whip topping, premade mini graham cracker pie crusts, chocolate sauce (or chocolate hot fudge, softened), and chocolate candy sprinkles (or chocolate candy curls). 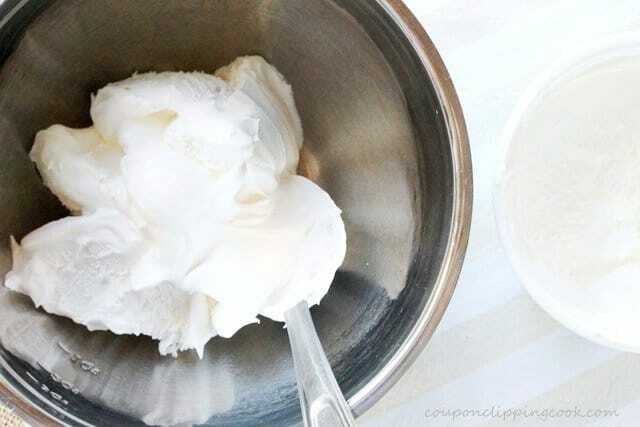 In a large bowl, add the Cool Whip topping. 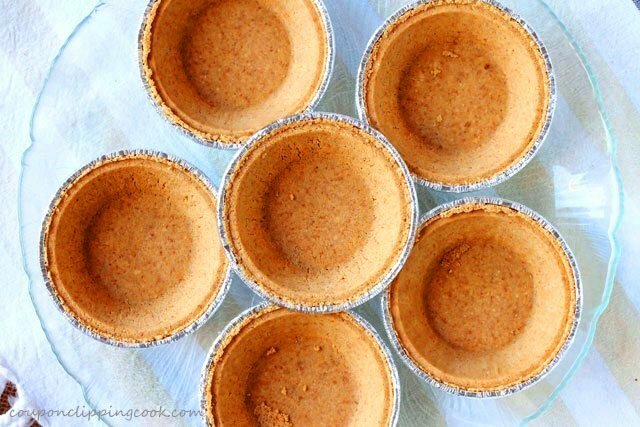 …add to the mini pie crusts. Let chill in the refrigerator for at least an hour before serving. These pies last nicely in the refrigerator too. 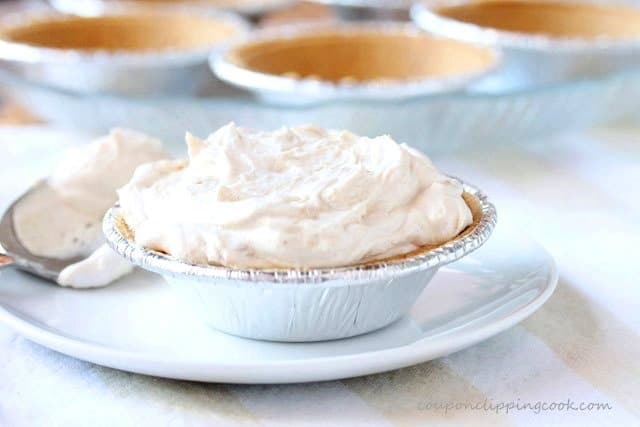 The pie filling is made with just 2 ingredients and the pies take only 15 minutes to make! 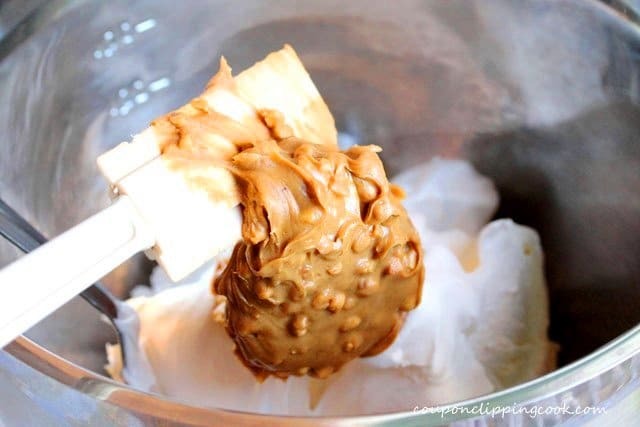 In a large mixing bowl, add the Cool Whip topping and peanut butter to make the pie filling. Mix until thoroughly incorporated. Add the filling in the pie shells. 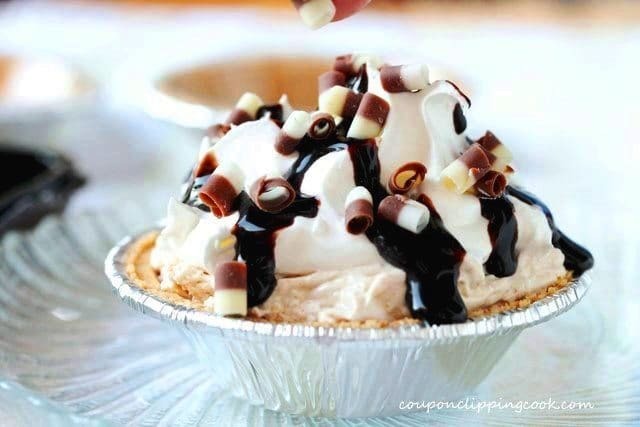 Top the pies with Cool Whip topping. 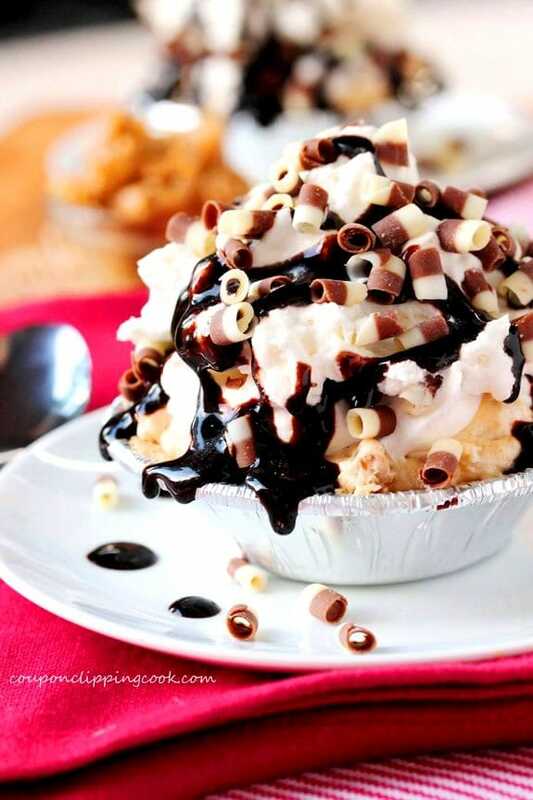 Drizzle chocolate sauce on top of the pie. 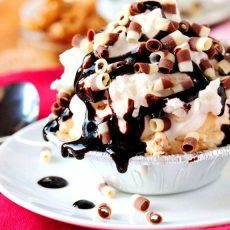 Then top with chocolate candy sprinkles or curls. Let chill in the refrigerator at least an hour before serving (longer is fine). 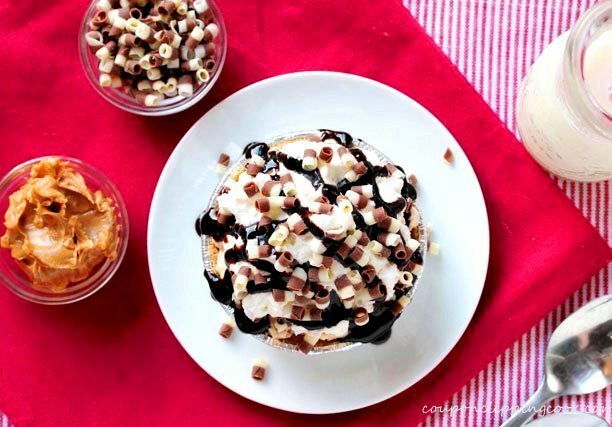 Store leftover pies in the refrigerator. These look so cool and yummy. If you cant find chocolate curls, you could melt white and milk chocolate. 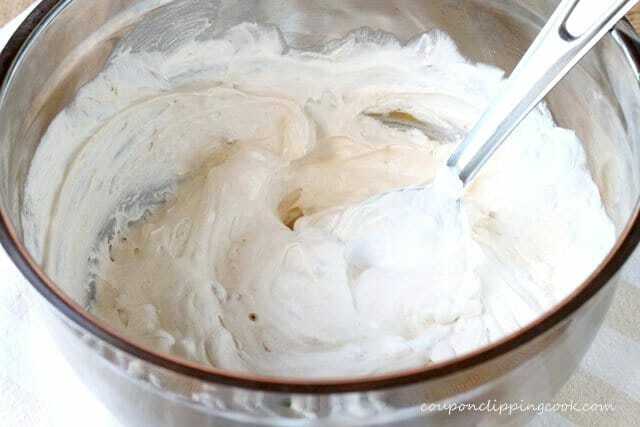 Then pour on a sheet pan, side by side, and use a spatula to make two tone curls. Hi Tracey, I’m really not sure how you would do the 2 tone curls and get them to be small. Maybe an option might to get the white/dark chocolate in thin bars side-by-side putting chocolate in the middle of each one to “lock” them together, then hold them while using a cheese grater that has larger holes in it as opposed to the smaller holes. But now you’ve given me an idea to try some options for making chocolate curls to see what works best. OMGosh this looks and sounds amazing. The little chocolate curls are just too cute. Where did you find them? I did a google search and didn’t find anything other than instruction on how to make chocolate curls….do people really need instructions on how to use a vegetable peeler to make chocolate curls?? LOL. Hi Kellie, I found the chocolate curls at Walmart in the fresh bakery section in a package hanging on a peg board display. I think the display also has birthday candles and other decor for cakes and cupcakes. I first noticed these cute chocolate curls on top of the cupcakes that Walmart has in their fresh bakery case. Thank you so much for stopping by and have a nice rest of the weekend!